The United States pension system is among the most massive ones in the world, holding assets worth trillions of dollars. With numerous different retirement plans, it is also one of the most complicated. Many claim that the arrangement has out-grown itself and become too tangly for the average tax-payer, who fears of loosing his life savings by choosing the wrong retirement plan. 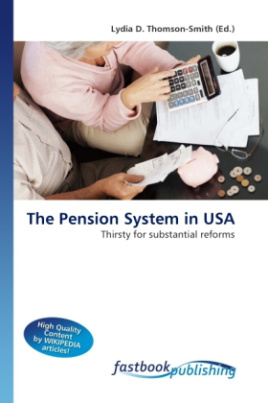 The US government will have to put a lot of effort in ensuring that the country's social security system keeps working and hard-earned pensions are kept safe these actions will require significant and thought-through reforms. In order to find out more about the pension system in United States, its main legislations and retirement plans read this book.